Start by roughly chopping the onion and clove of garlic. You don’t have to chop them that finely. Continue to the next step. ADD a knob of butter into one of the small saucepans. SAUTÉ the chopped garlic and onion for about 2 minutes. 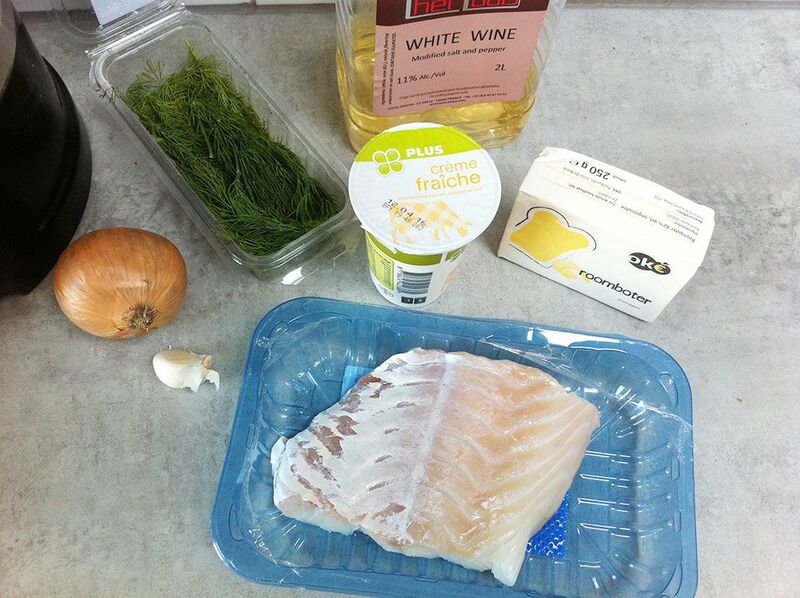 ADD in 300 ml of dry white wine and the leaves of 2 sprigs of fresh dill , bring the mixture to a boil. When the white wine has reached its boiling point, turn down the heat and let simmer for 10-15 minutes. After 10-15 minutes, the flavors will be infused throughout the sauce. SIEVE the sauce into another small saucepan and simmer on low fire. 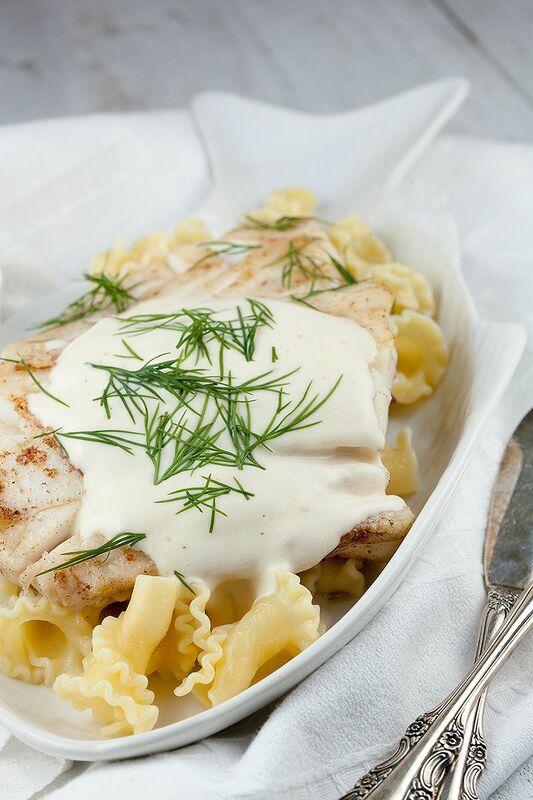 WHISK in 200 grams of creme fraiche and season with some salt and pepper. 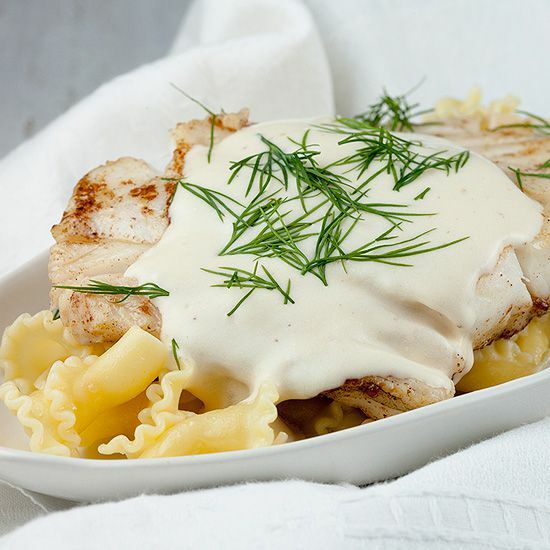 You can thicken the white wine and dill sauce even further by whisking in a little bit of corn starch or potato starch. Make sure to add in some fresh dill at the end. 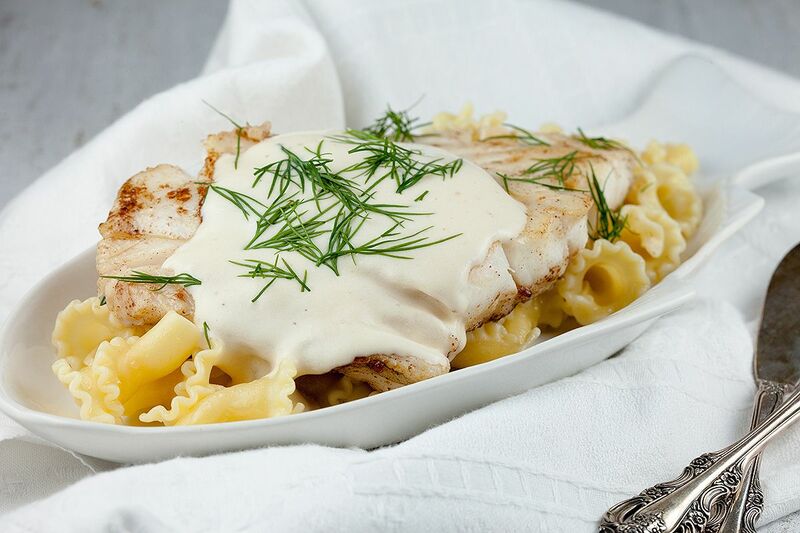 This sauce is served best with fish and/or pasta (as pictured). Enjoy!